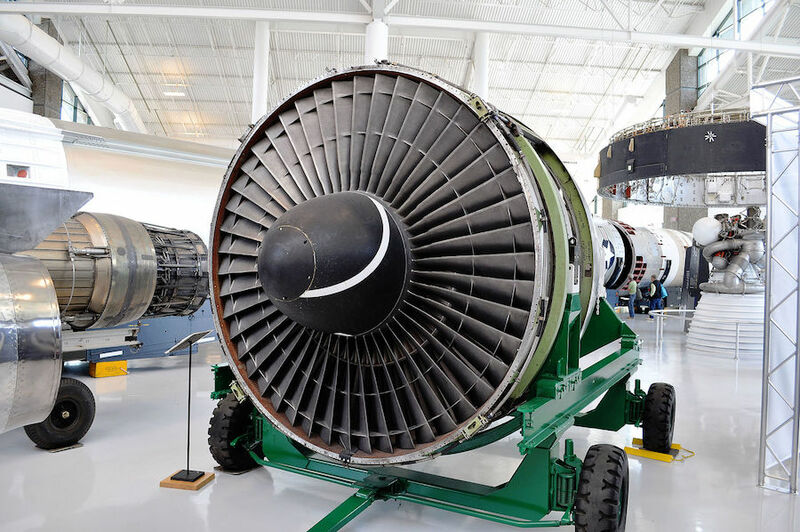 For decades, the Boeing 747-400 has been the backbone of fleets around the globe, including EVA Air. As more advance technology and fuel efficient aircraft come into play, EVA’s last Boeing 747-400 passenger jumbo jet (B-16411) made its final commercial flight as BR892 from Hong Kong back to Taipei on August 21. 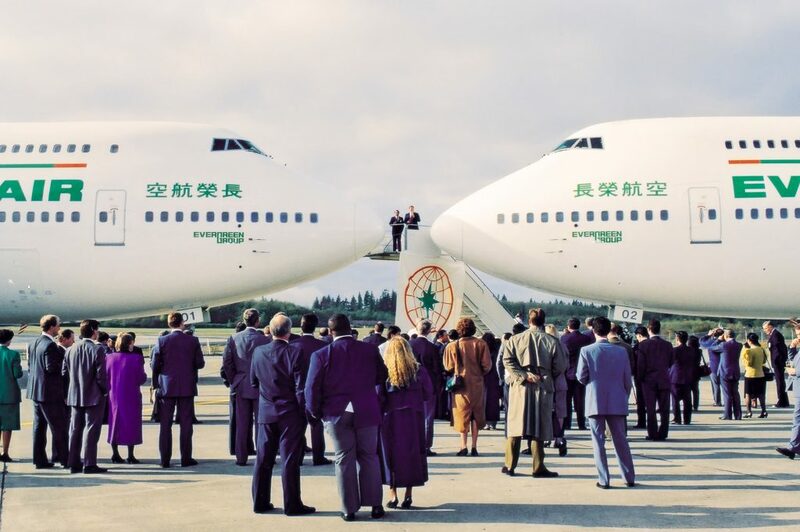 Starting when EVA Air began business back in 1989, the Boeing 747 has made some history in the carrier’s fleet. EVA was the first to introduce the concept of what is now known as “Premium Economy” and was the first airline in the industry to have 4 service cabin configuration. The Boeing 747 inaugurated Taipei to Los Angeles service along with 28 other destinations across the globe. 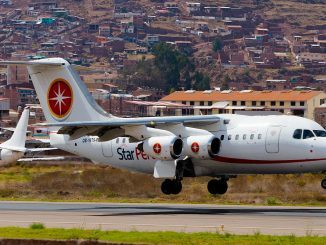 It also carried special missions such as presidential charters and museum artifact transportation. 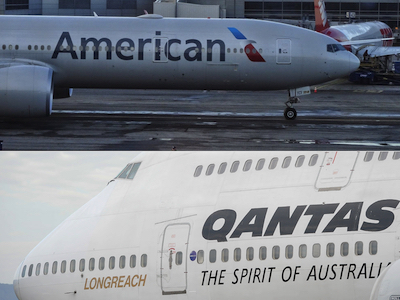 From expanding the network to providing travelers a safe and comfortable journey, the Boeing 747 has been the aircraft that set the foundation of the airline. With the retirement of the Boeing 747-400 passenger aircraft fleet, EVA noted that the Boeing 787 Dreamliner will be placed into service in 2018, which offers greater fuel efficiency and passenger comfort. 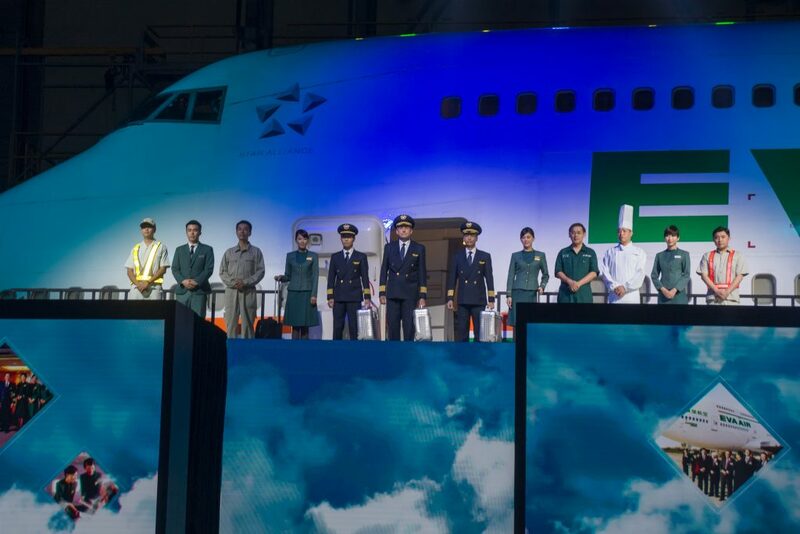 At a celebration within the airline’s hangar complex in Taipei, EVA position their last 747-400 passenger jumbo jet behind the catwalk used by service staff to introduce their third-generation uniforms, which will be seen by passengers at the airport and inflight by November of this year. The current uniform has been in service since 2003. Since 2015, EVA has been working closely with the lead designer Ms. Wang Chen Tsai–Hsia of Shiatzy Chen. The designer used color blocks, geometric patterns, and streamlined shapes for professional attire with classic appeal. She chose tourmaline green, or verdelite, as the uniforms’ base color. 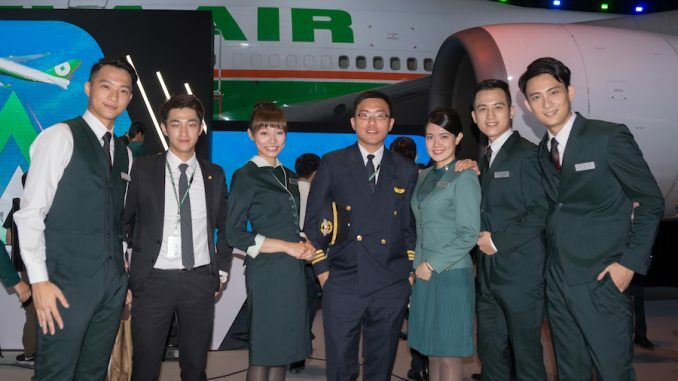 “As we bid farewell to our ‘Queen of the Skies’ and her remarkable performance, we welcome our new service image,” said EVA Air Chairman Steve Lin. On women’s uniforms, standing collars convey the idea of flying. For the cabin crew, red collars identify chief pursers, pink represents deputy pursers and light green signifies flight attendants. For female ground staff, red collars designate supervisors and light green denotes traffic officers. 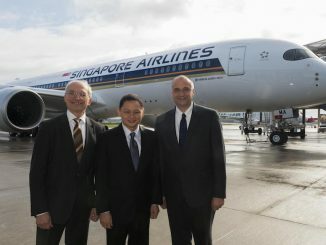 Uniforms for male ground staff utilize three-piece suits. 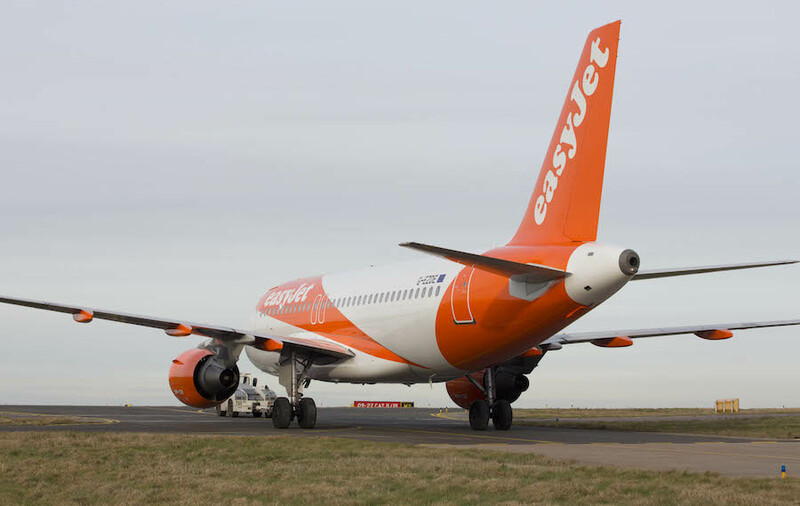 Aircraft wings formed by green or orange dots stand out against black backgrounds on ties. Vests feature pockets for keeping pens and notebooks handy. To fully meet its service staff’s uniform needs, the carrier commissioned development of a high-performance fabric that blends elastic and antistatic carbon-fiber yarns. Quick-drying and moisture-absorbent, the fabric is also flexible and breathable. 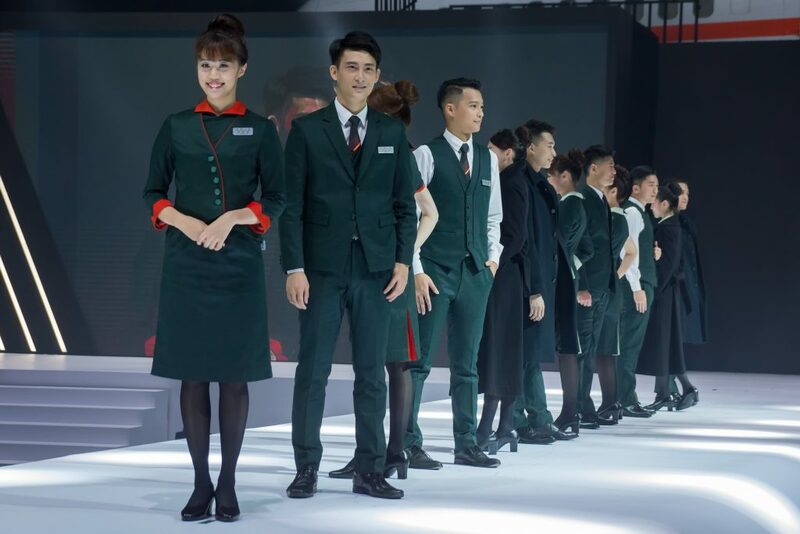 “We designed these uniforms for style, comfort and function, and to further enhance our service team’s professional image,” Lin continued. 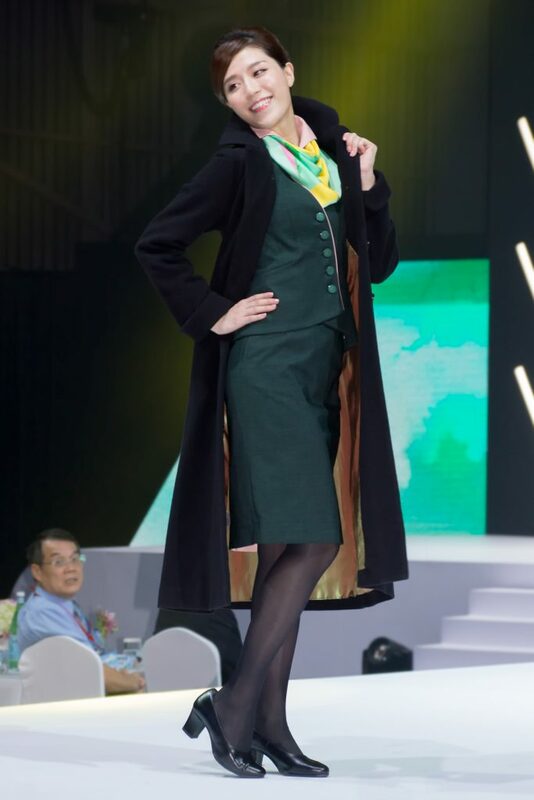 Although the 747’s days at EVA Air are numbered, the airline is looking forward with modernized uniforms and fleet types.